Macauley Culkin is thirty-two-years-old. Really he is. Thirty-two. Sorry to bring the mood down, but it’s one of those startling indicators of your own advancing age that catch you off guard, like colleagues born in the 1990s and stumbling across your own Myspace page. Thirty-two?! On a similar vein of old-age-advancing facts few will have realized there is now a whole generation of people in this country who have never seen tobacco advertised on television. The laws relating to advertising changed in 1991 and not since Hamlet cigars took their last drag of television prominence that year has a smoking related product been promoted to us within our own homes. That is until now, and the current campaign for E-Lites electronic cigarette. So what’s changed? Why are we now seeing a smoking product advertised on our screens? And how did they manage to find a baby who could pull off those moves? Well the key difference, as the more astute amongst you might have noticed, is the prefix ‘electronic’ snuck in at the end of the second paragraph. 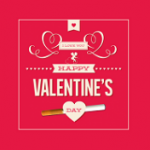 Unlike normal cigarettes E-Lites electronic cigarette, as you will know, is free from tar and tobacco, meaning that not only is it much healthier, but it is also free from the advertising restrictions placed on traditional cigarettes. As they emit only vapour E-Lites electronic cigarette can be ‘smoked’ indoors, which is the benefit of the brand highlighted by the advert. Rather than disappear outside to be battered by the worst the English weather can throw at them and miss out on the juicy gossip, amusing anecdotes, and babies busting moves that the rest of us are enjoying, the E-Lites smoker can enjoy their pastime amongst friends, without worrying about the dangers of passive smoking. There are still many restrictions on how E-lites can advertise on television, which is why the advert contains neither a description nor a sighting of the electronic cigarette itself. But they have still done an effective job of showcasing what their product is about, getting the message across and providing a decent laugh as they do so; and as we continue to advance to old age (thirty two damn it!) we need all the amusement we can get.